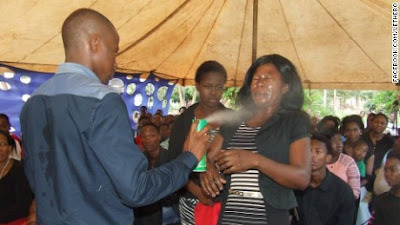 A South African pastor who claimed he could heal sick members of his congregation by spraying them with insecticide brand Doom was found guilty of assault on Friday. Lethebo Rabalao, referred to by local media as “the prophet of doom,” was found guilty of four count charges of assault as well as “contravening the Agricultural Act” by a court in Limpopo province. The provincial health department brought charges against the pastor after videos of him spraying congregants in the face with insecticide surfaced on the internet. Rabalao said he had been told by God to heal people, and claimed he could help those with HIV and cancer. Divorce after 50 | What to think about?